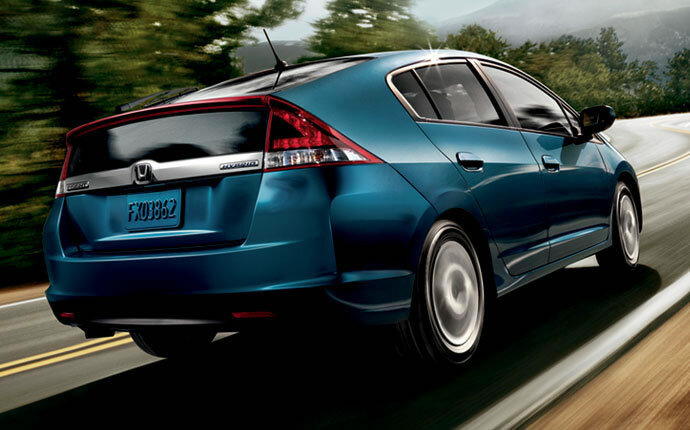 An often overlooked but never disappointing choice in the hybrid hatchback segment is Honda's Insight. Shadowed by its main competitor, the Toyota Prius, the Insight doesn't get the press it so deserves. For starters, it's much less expensive than its competitors, so much so that it's the least expensive hybrid car on the market today. With its expansive, comfortable interior and responsive transmission and tuning, it's about as much fun as one can have in a hybrid. For the new model year, the 2014 Honda Insight returns to Dallas and Fort Worth unchanged, but it still features the same level of value, style and quality that has made it a sleeper hit in the hybrid world. 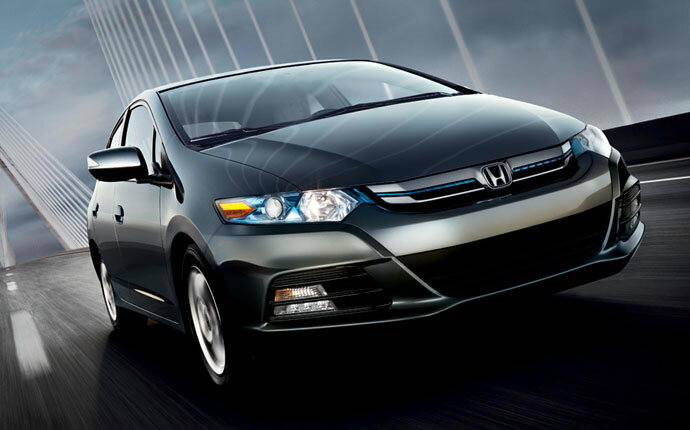 Continue reading our 2014 Honda Insight review below for more information on its specs, features and amenities. 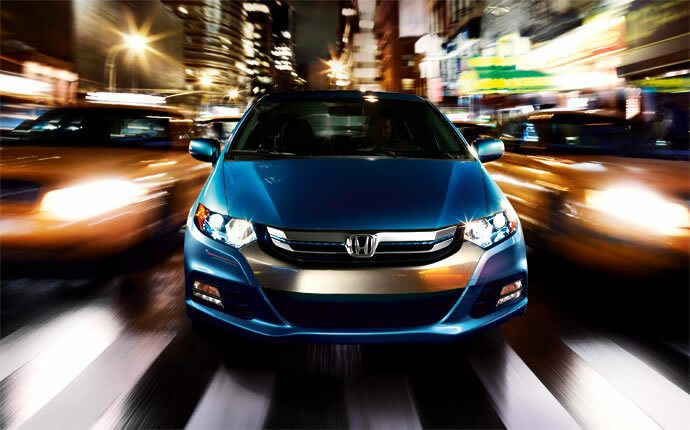 The 2014 Honda Insight is available in the Dallas area in Insight, LX and EX trim levels. Through its hybrid gasoline/electric powertrain setup, it delivers 98 horsepower and 123 lb.-ft. of torque to the front wheels via an automatic CVT transmission. As with all hybrids, acceleration is somewhat lacking, but unlike most, the 2014 Insight makes up for this with a tightly tuned suspension that makes it more fun to drive. Amenities aren't in short supply on this inexpensive, sporty car, either. Our 2014 Honda Insight review showed the following standard and optional features: cruise control, a six-speaker audio system, touchscreen navigation, a rearview camera, automatic climate control, a tilt-and-telescoping steering wheel, full power accessories, a 60/40 split-fold rear seat and more. For a complete list of available amenities, visit Vandergriff Honda in Arlington, or continue reading the Insight review below. Compare the 2014 Honda Insight against vehicles like the 2014 Chevrolet Volt, Toyota Prius, Ford C-Max and the Nissan Leaf, and we're sure you'll learn that the Insight outperforms the competition in a multitude areas. TX shoppers will benefit from the Insight's modern features and budget-friendly sticker price. You'll certainly see it's a fantastic value when you compare its price to competing vehicles. Find out more - Check out the bullets underneath this text! To make your car search a breeze, Vandergriff Honda is happy to offer research tools like the 2014 Insight review above, as well as reviews of older models. 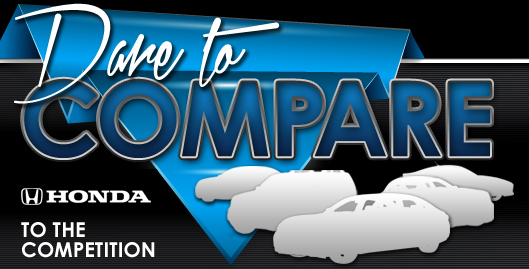 It's our obligation to equip reviews composed by the most skillful automotive writers in the business - it's just one of the things that makes us a prominent Dallas area Honda dealer. Information you can be confident of to make wise decisions is right here - each paragraph is packed with practical information and specs. Now that you've read Vandergriff Honda's review of the 2014 Insight, please use the contact form to message us to find out about national OEM specials and current financing offers, so you can save on your next purchase!